There are many kings in our African American background, and that includes racing kings. 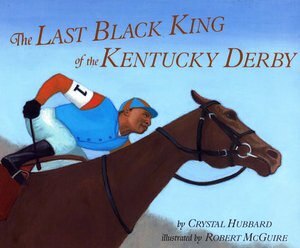 The Last Black King of the Kentucky Derby by Crystal Hubbard is the story of one such unforgettable king. The book chronicles the life of Jimmy “Wink” Winkfield, the son of sharecroppers in Chilesburg, Kentucky, and the youngest of 17 robust siblings. His first love was riding horses and his second love was watching horse races at a nearby track. It is no surprise, then, that he began working at a track when he got older, where he learned to race and handle the horses himself. This situation opened doors for him, including an opportunity to ride a horse for the son of the mayor of Lexington. He lost that race, but he continued to work hard to improve his skills so that by 1901, he had 161 wins under his belt, including his first Kentucky Derby Win. Ms. Hubbard’s prose is age-appropriate and nail-biting good. She describes, heartbeat-by-heartbeat what each win is like for Wink; how he feels the sweat of his horse beneath him, hears the snort of its nostrils and the thud of its hoof beats as it pushes itself to give its all. She also describes the pride of winning the Derby two times in a row, the racism of the times, and the pleasure of overcoming the odds to go down in history as a true hero. Artist Robert McGuire makes Ms. Hubbard’s prose even better with sketches that are alive with color and movement. Readers get to see thundering hooves close up, the intense faces of determined jocks, and the flaring nostrils of the beasts they command. This is an inspirational book that is documented proof that no matter what a person’s station, that person can pick him- or herself up by the bootstraps and go down in history as a person of note. This is proven by the fact that Jimmy “Wink” Winfield evolved from the poor son of struggling sharecroppers to a jock who rode the horses of Russian czars, Polish princes and German barons. Next article8-Year Old Genius Speaks 8 Languages!! 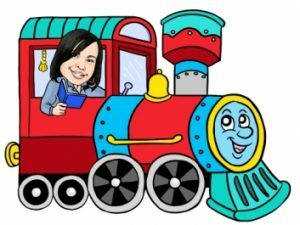 I'm a former educator of 15+ years with an advanced degree in School Psychology and I'm currently a full-time children's writer, ghost writer, and freelance editor. I am the author of Hammering for Freedom: The William Lewis Story ; I earned the 2014 SCBWI Letter of Merit for an unpublished Multicultural manuscript; I am the author of several educational titles for Rosen Publishing and Cavendish Books; and I penned African Americans of Chattanooga: A History of Unsung Heroes (The History Press, 2008). I am also a Media Professional for the New York Journal of Books, a member of SCBWI.org and 12x12 - 12 Picture Books, 12 Months. 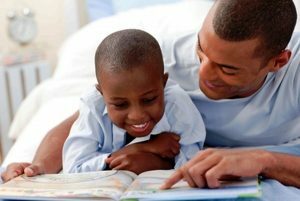 Some of our fondest memories come from listening to the sound of our father or mother's voice as they read our favorite book. Read with your child today. You'll both feel the benefit. Are you a writer? We're waiting to read what you've written. To learn more, click Register Your Book. asd on Charles B. Brooks…Cleaning it Up! Except for music and video clips and occasional bio contributions, all content is written and edited by Rita Lorraine Hubbard. All rights reserved and vigorously defended. 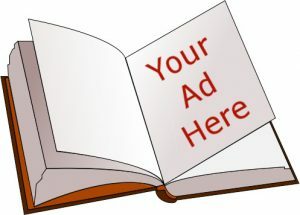 Any copying, distribution or altering of articles must have written permission of the author. © Copyright 2012-2019, Rita Lorraine Hubbard. All Rights Reserved.